Today at Parkland 665 patients will be seen in the emergency room. 73 babies will be cared for in the neonatal intensive care unit. 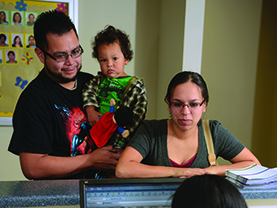 And more than 2,800 of our neighbors will receive care as outpatients. Every day Parkland provides medical care to anyone in need, keeping our community healthy. We don't know who will come through our doors or what care they will need. But with your donation, we can be ready. Thank you for standing for Parkland!